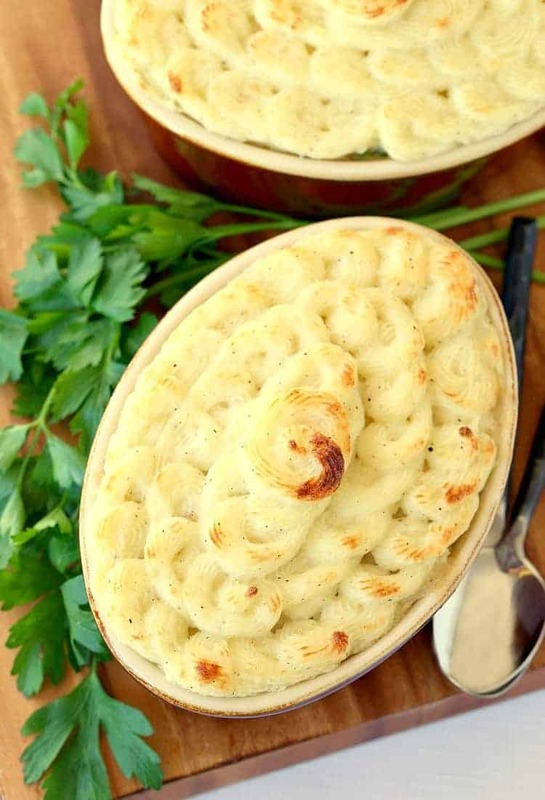 Make this Leftover Turkey Shepherd’s Pie with your leftover turkey from Thanksgiving! Turn your turkey into a totally different meal with only a few steps! We did it. We survived another Thanksgiving holiday. 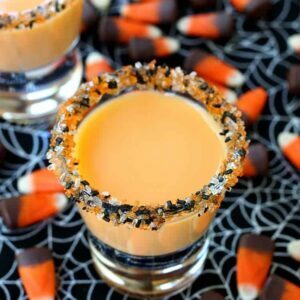 All the food, all the preparation…all the cocktails. And all the eating. Every year I say I’m not going to eat until I can’t move and every year I’m wrong. It’s just so good – all the food you wait all year to eat…that might be the key, right? Maybe make a turkey and some stuffing a month or so before Thanksgiving and then it won’t be something you’ve waited all year for. But then I guess I’d just eat until I couldn’t move the month before. You can’t win. Just realize that it’s going to happen and enjoy yourself. Honestly though my favorite part about Thanksgiving is the few days after…when you have all the leftovers. We love making homemade turkey soup with the turkey bones, or ham soup if we made a ham too that year. This Kentucky Hot Brown is an amazing comfort food sandwich that you have to try. Or go tex-max and make chicken enchiladas…swapping out the chicken for turkey of course. 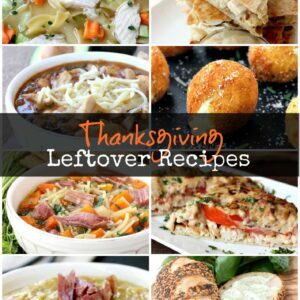 If you’re looking for a big old list of recipes using leftover turkey, try this list here that has TONS of recipes. Because I know right about now you’re all searching for leftover turkey recipes, so I’m here to help. 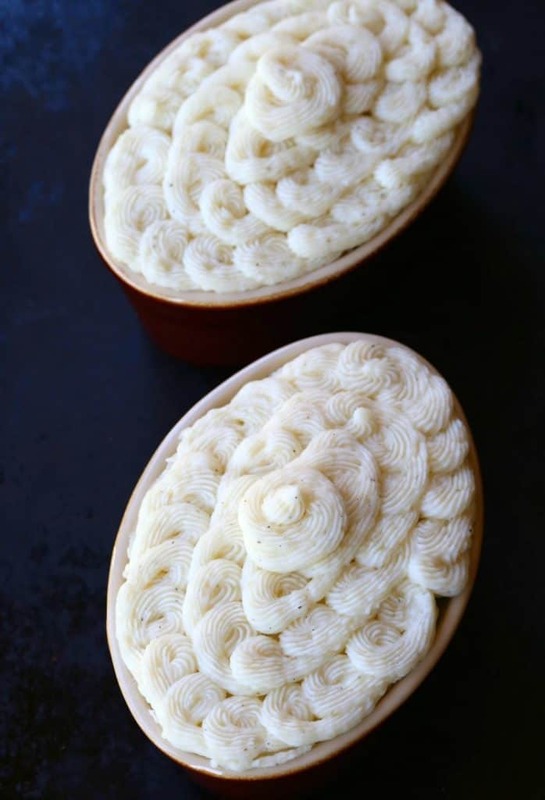 This shephard’s pie works perfectly for Thanksgiving leftovers because you can add ALL your leftovers in here – mashed potatoes – check. Vegetables – Check. Gravy even – check. 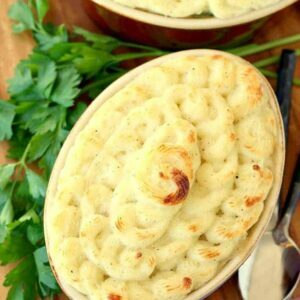 Get it all in the filling – except the mashed potatoes because they go on top. Even if you have sweet potatoes, they’d work too! 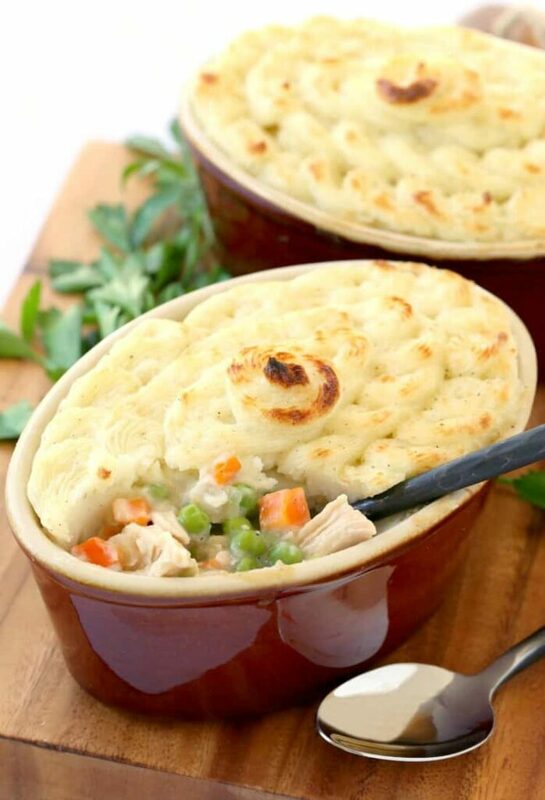 Or you could swap out the mashed potatoes and use leftover stuffing if that’s what you want on top, kind of like this skillet chicken pot pie recipe we made. Add flour and cook for a minute, then pour in chicken stock, jarred gravy (or leftover homemade if you have it) and cream. 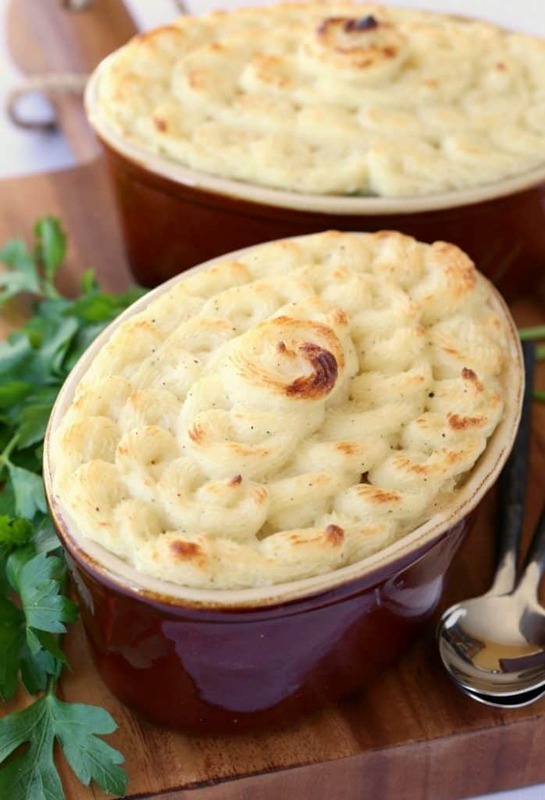 Stir in the leftover turkey and the filling for this Leftover Turkey Shepherd’s Pie is done. Now I know there are lots of recipes using leftover turkey out there but this one is by far one of our favorites! Now just add the filling to a baking dish or you can use individual crocks like we did, then top with the mashed potatoes. Now it only has to go in the oven for about 15 minutes since everything is already cooked, then if you want you can put it under the broiler for 5 minutes to crisp up the top. AND if you don’t have any leftover turkey? 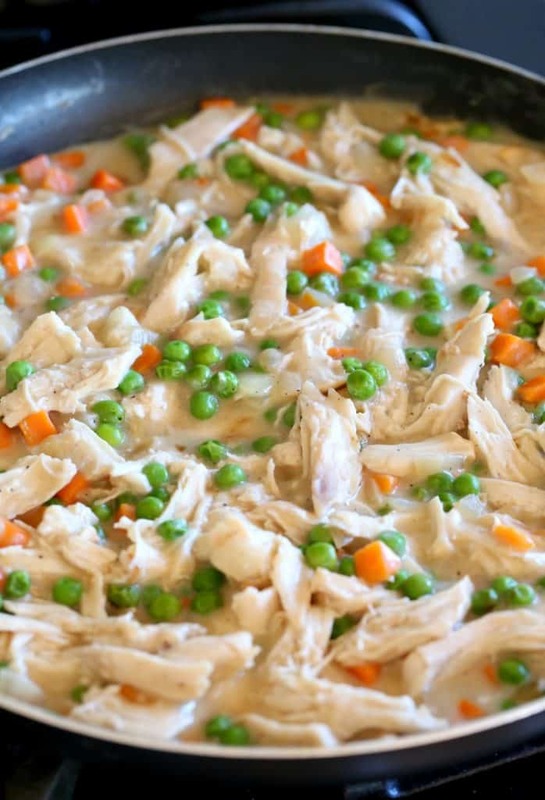 You can also grab a rotisserie chicken at the store and make this same recipe. My grocery store also has turkey breasts right there by the chicken so we get those a lot too. 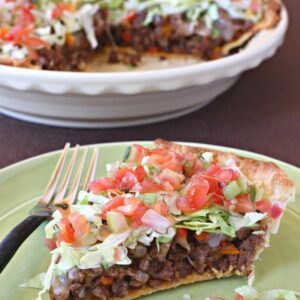 It’s all about good food here – because good food doesn’t always take a long time to make and this recipe is a perfect example of that! Trying to figure out what to make with all those Thanksgiving leftovers? This comfort food favorite dinner recipe uses ALL your leftovers, including the leftover turkey! Add the butter to a large skillet over medium heat. Next add the peas and carrots, stirring in with the onions. Add the salt, pepper and flour. Stir and cook for 2 minutes then whisk in the chicken broth. Once the mixture comes to a boil pour in the milk and gravy. Stir and cook for 2-3 minutes until thickened. Taste for seasonings then stir in the cooked turkey. Spoon the turkey mixture into a 2 quart baking dish then top with the mashed potatoes. Bake for 15 minutes, then place under the broiler for 5 minutes if desired. I made this recipe and have Frozen the pot pie. when reheating should I defrost it first or should I put it in the oven frozen? Thanks I can’t wait to eat it! I’ve never cooked it from frozen, but I’d probably let it defrost first and then cook! Even if it’s not fully defrosted it should be fine, just give it a few more minutes in the oven.